This recipe has been on my list for a long time now. Today was a great day to try it because I had all of the ingredients sitting in the fridge – bits of mozzarella, already opened pepperoni and only one 18 ounce ball of dough (left over from calzone night). M was away golfing, so I decided to treat the kids and I to a fun dinner. How cute are these? And they’re so easy to put together. I divided my dough ball into 18 equal pieces, cut up cubes of mozzarella and cut my giant slices of pepperoni into thirds. These little bites would also make a perfect party appetizer. Verdict: These were so yummy – the kids loved them too. The only problem is that 18 isn’t enough for the four of us, but lucky for them I wasn’t super hungry. Next time I’d double the amount, or make sure we eat a salad along with this. These will be in our rotation for sure, and I know that these would be well received at any party. 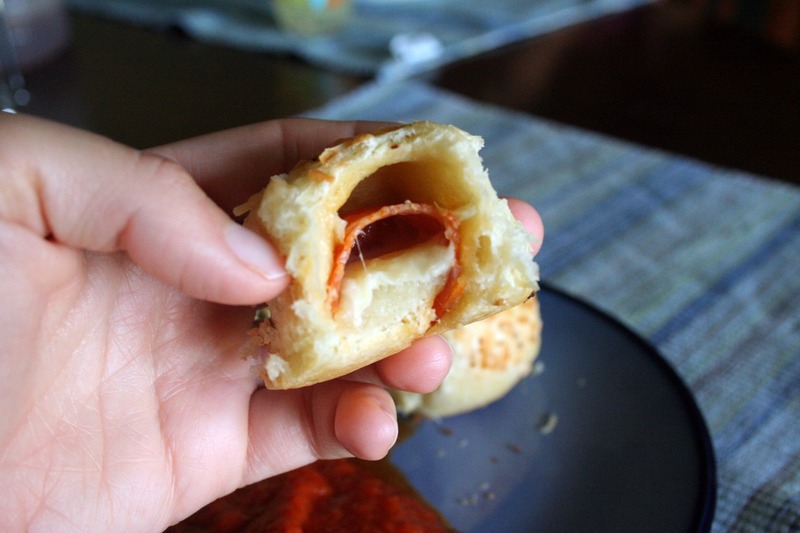 Flatten a piece of dough with the palm of your hand, place a slice of pepperoni and a cube of mozzarella cheese on top of the dough. Pull the dough around the filling and pinch closed. Place the ball seam-side down into the pie dish. Repeat with remaining dough pieces. 2. 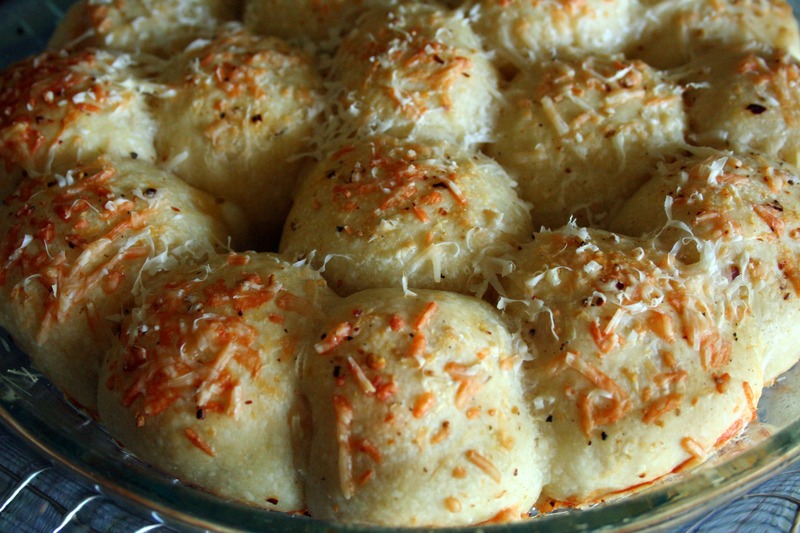 Lightly brush the tops with olive oil, sprinkle with pizza seasoning and cheese. Bake for 20 to 25 minutes or until golden brown. Serve with pizza or marinara sauce if desired.